The EVOLUTION is a board designed to paddle well and catches waves easily in all surf without sacrificing manoeuvrability. The curvy outlines gives it looseness on the face of the wave. Great for beginners and intermediate surfers from small to medium size surf. 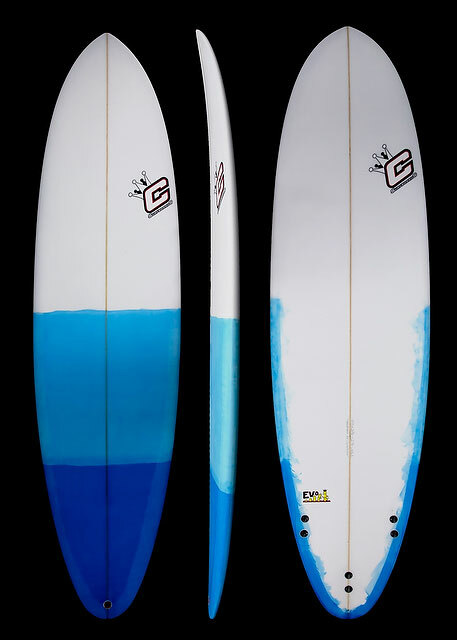 This is the board that will stay with you as your surfing evolves. Available also in sizes up to 7’6″.